“Oi! 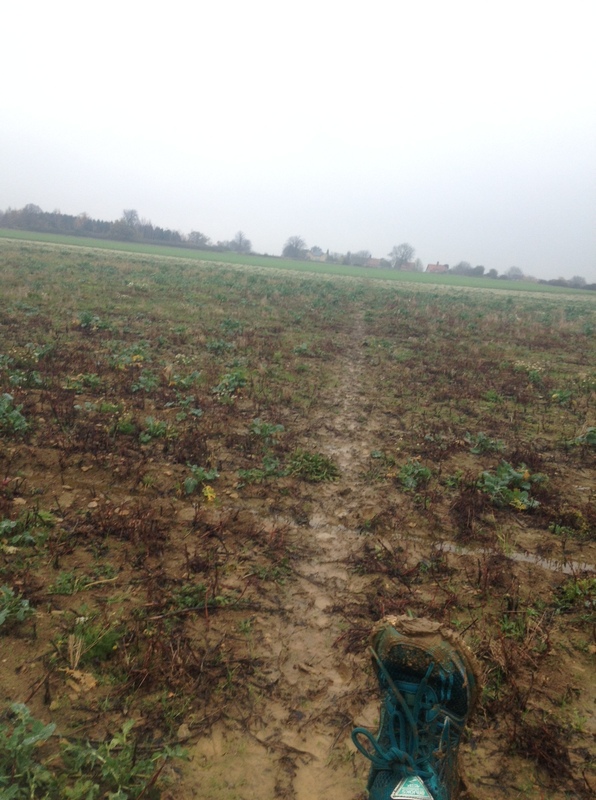 What gives you the right to run on the other side of that there gully?” the angry farmer shouted at me as I traipsed through his farmyard, on my way to the next path/field full of mud. “Oh sorry, there was no footpath sign and it looked like the path was on that side, I won’t do it again,” I gibbered quickly, you never know when these angry farmers will pull out an even angrier-looking shot gun. Pacified, slightly, he looked me up and down, considered the drizzle and oncoming black clouds and said helpfully by way as a goodbye: “You’re going to get wet.” “Yes, yes I am,” I cheerfully replied. When does a bit of mud and rain stop a trail runner? 10 miles on my training plan for The Coastal Challenge Costa Rica this Feb (coached by Rory Coleman) had to be done, rain or shine. 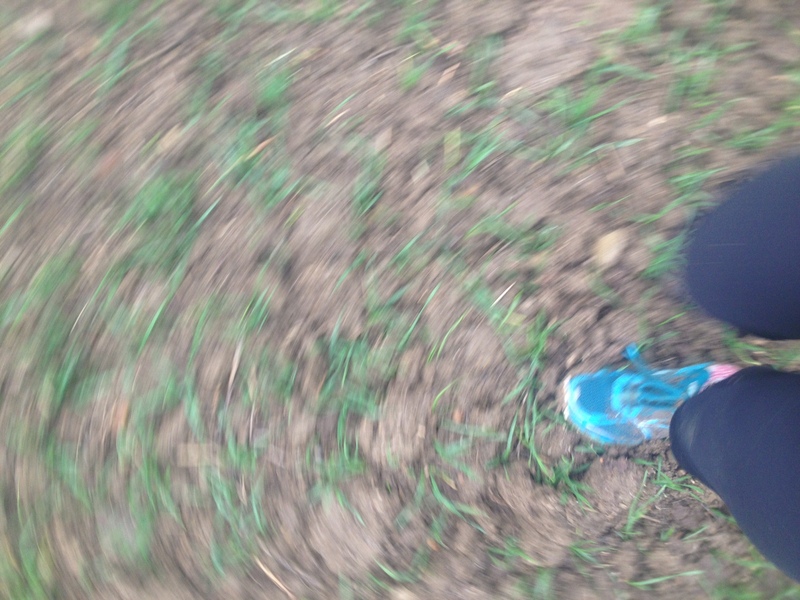 Wishing my amazingly comfy and supportive Brooks Adrenaline ATS shoes had more grip for the muddy fields. Would rather slip than get more blisters though! Thankfully, glorious sunshine hit the East Midlands for Sunday’s 20 miler with unstoppable Helen from Stamford Striders my amazing local running club. I felt exhausted after, and wondered how I had ever mustered the muscle power for the 3 x back to back marathons on the brilliant fun XNRG Druid’s Challenge a month prior. Maybe it was because I was carrying 1.7kg kit, mainly water as it was a very warm day for almost Dec, and two big headtorches for myself and Helen as this run would take us into darkness by about 4pm. And maybe it was also because, when chatting we went a little faster and (testing the Epson Runsense FS-810) my average HR ended up as 156bpm rather than the 142 I’m sposed to stick to. Either way, 20.6 miles done in 3:37 was great work after slipping and sliding through all the muddy fields. Farmers get angry when you run in the wrong place, but if they plough straight over the path how do you know where it goes? Previous Previous post: Why don’t they invent thigh-warming leggings?